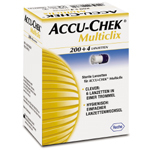 204 sterile Accu-Chek Aviva Lancets. 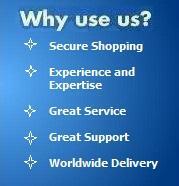 For use only with Accu-chek Aviva. The Aviva lancets are revolutionary as they are one of the safest lancets available. They are designed so that the lancet point is contained within a drum and only exposed when the device is actually used. This should dramatically decrease any chance of an accidental injury whilst using the Accu-chek Aviva.